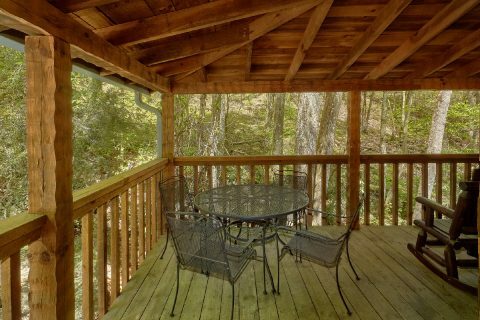 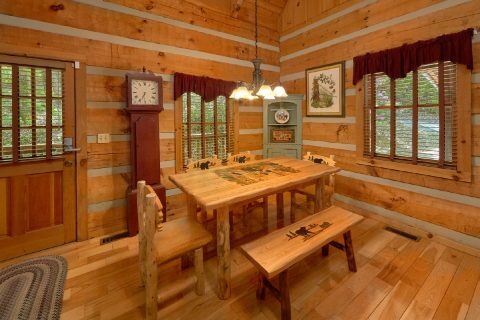 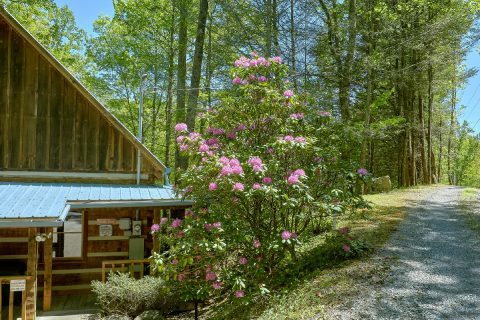 Located in a peaceful creekside setting only a short drive from Downtown Pigeon Forge, you'll find "Cuddle Creek Cabin," a charming 1 bedroom cabin that sleeps up to 6 guests in comfort! 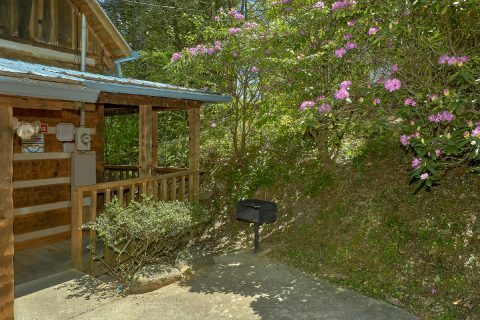 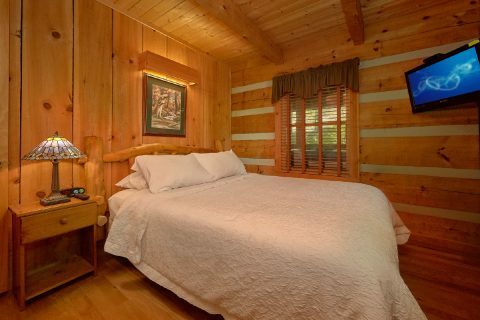 Not only is this cabin only a short drive from top local attractions like Dollywood Theme Park and The Island in Pigeon Forge, but it also boasts a relaxing forested location in the scenic Bluff Mountain area, so you can truly unwind during your stay. 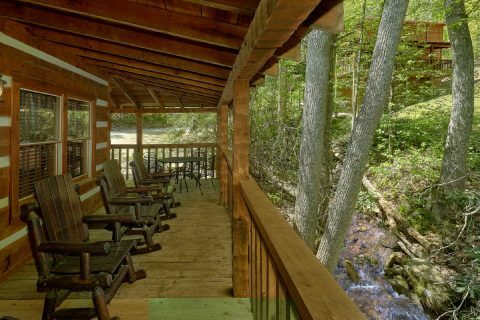 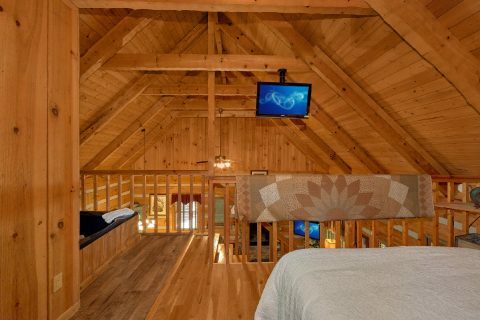 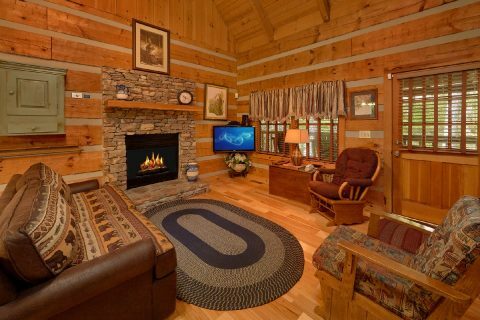 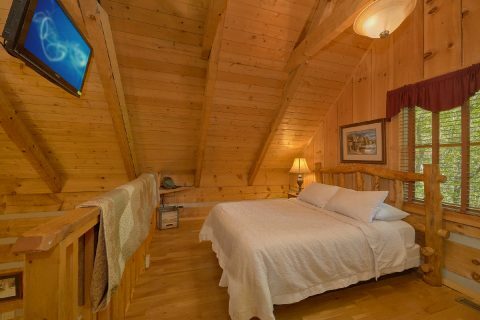 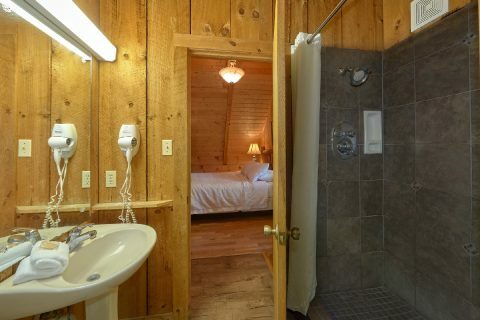 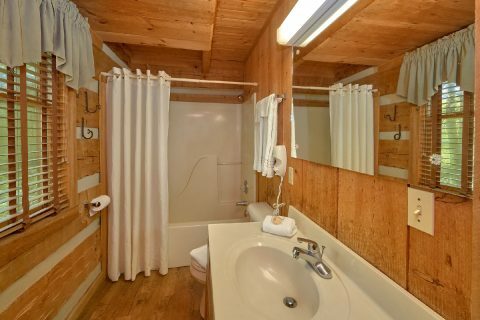 After a great day spent exploring the Smokies, you'll love returning to this cabin with plenty of comfortable amenities. 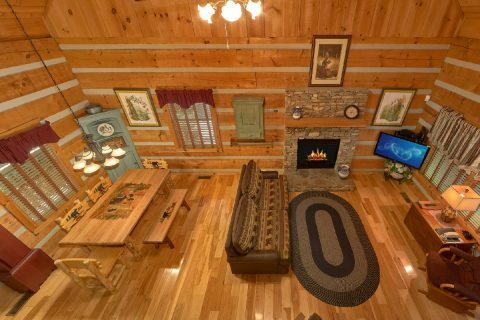 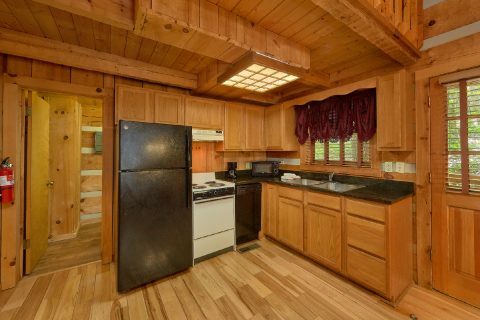 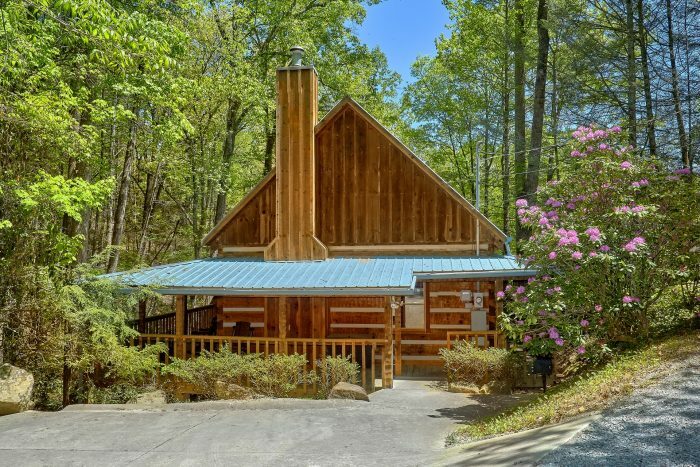 From the living room with a gas fireplace to the deck with a hot tub to the fire pit area with a picnic table and a charcoal grill, this cabin offers plenty of ways for you to spend quality time with friends and family. 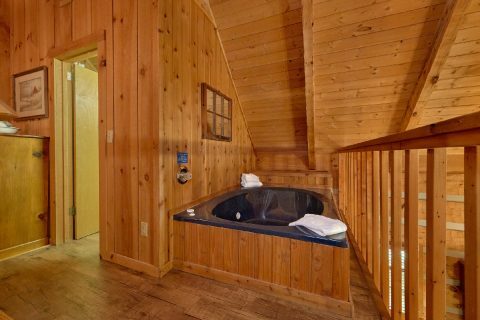 With a queen-sized bedroom with a common full bathroom on the main level and an upper loft area with a queen bed, a flat-screen television, a jacuzzi tub, and a full bathroom with a tiled-shower, this cabin also offers plenty of comfortable sleeping accommodations. 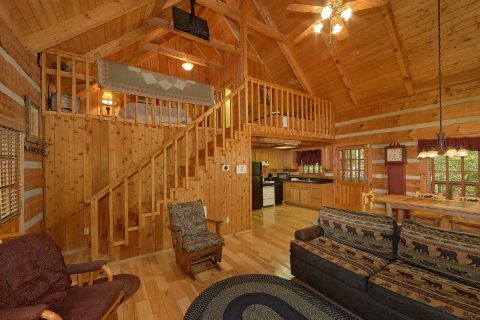 With an extra sleeper sofa in the main level living room, "Cuddle Creek Cabin" can sleep up to 6 guests easily. 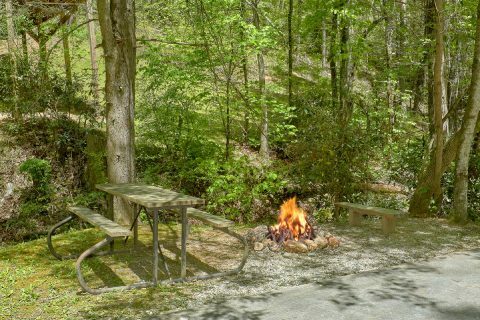 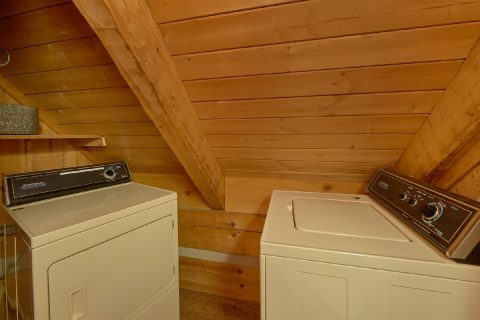 With practical amenities like WiFi Internet, a washer & dryer, a full kitchen, and a dining room with a full-sized dining table, you'll have everything you need to have a great stay in the Smokies! 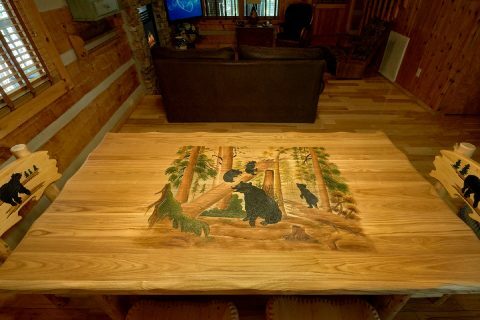 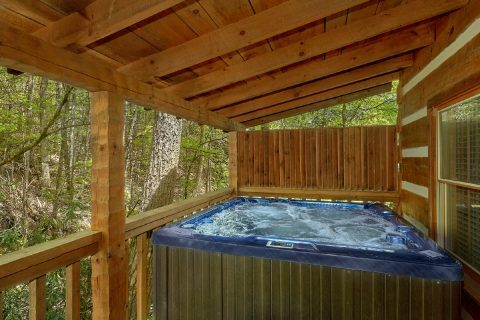 Book "Cuddle Creek Cabin" today with Cabins USA Gatlinburg and you'll save 15% on your very own creekside cabin with a hot tub!